M Polish is releasing a Mother's Day Duo! This duo is called, Mama Loves Polish Duo, and will only be released in a set. I've only been a mother for three years and I milk every little thing about Mother's Day that I can, so this is right up my alley. I'll post the swatches and review, followed by ordering information and other deets. 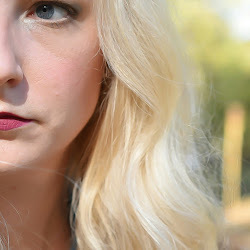 This is a medium toned pink with that pearlescent finish we saw with the Spring Collection. It's a pretty solid stamping polish. I tested it out across several of my plates and stamper heads, and it transferred cleanly from plate to stamper and stamper to nail. 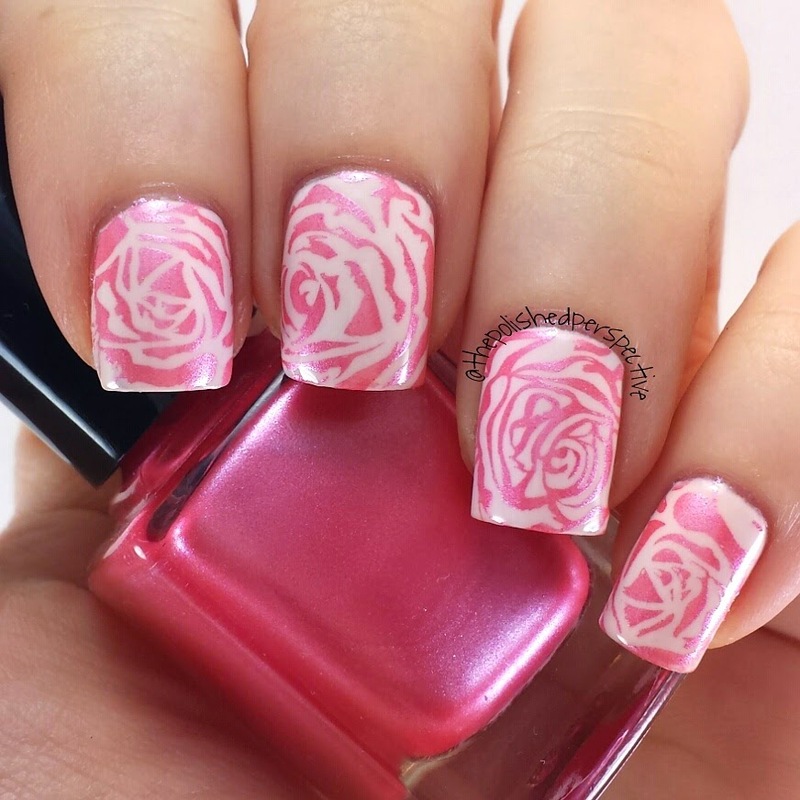 I love pink, so I automatically love pink stamping polish. 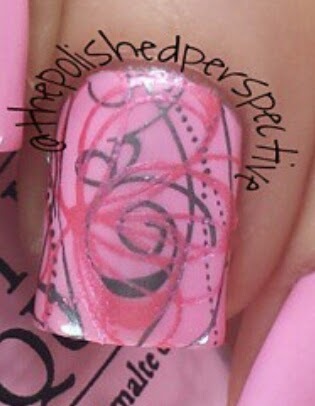 This is another solid stamping polish. Its a pretty silver with a pearlescent finish. I tested this one across several plates and stamper heads without any issue. 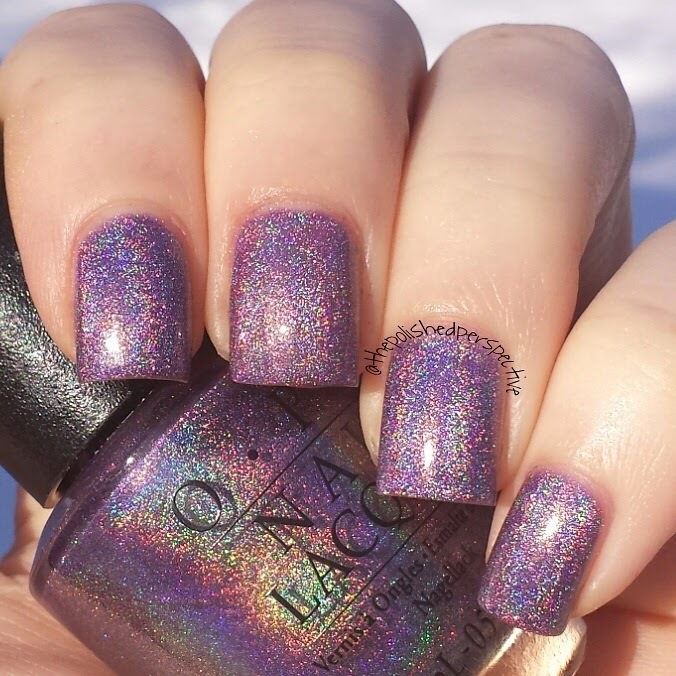 This one will be a versatile polish that will look well over a variety of colors. This is the M Polish, Mama Loves Polish Duo, the Limited Edition Mother's Day duo. These polishes will only be sold as a set and will be available Thursday, March 19. At the time of this post, time of release has yet to be determined. I'll be sure to go back and edit once the time has been confirmed. 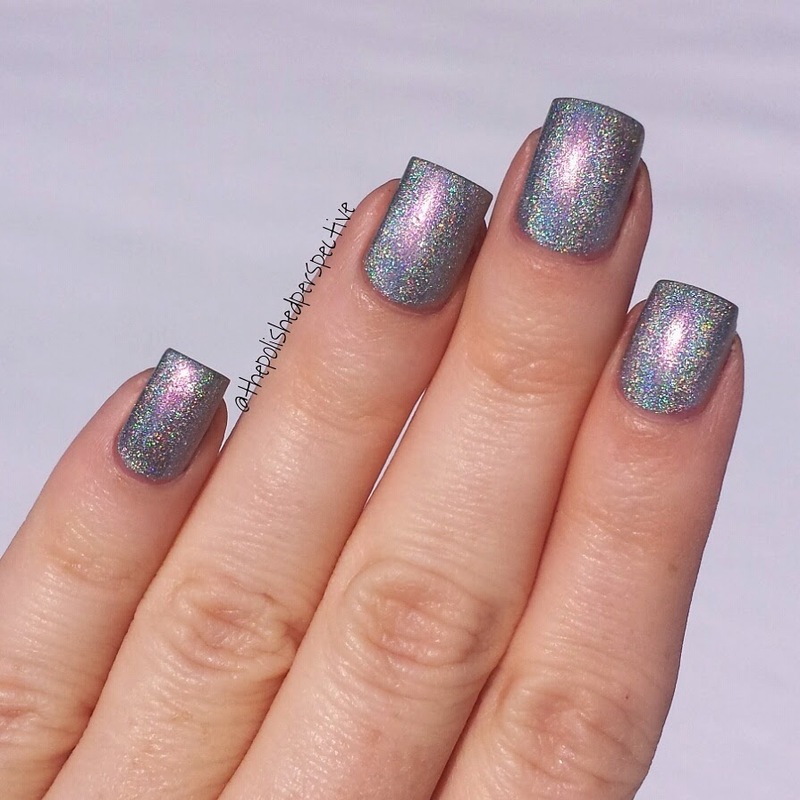 You will be able to buy this set for $13.50 right here http://mpolishes.com/. Shipping is available in USA and Canada. I will be giving away a set on my Instagram (https://instagram.com/thepolishedperspective/)!!!!!! Follow me for more information! 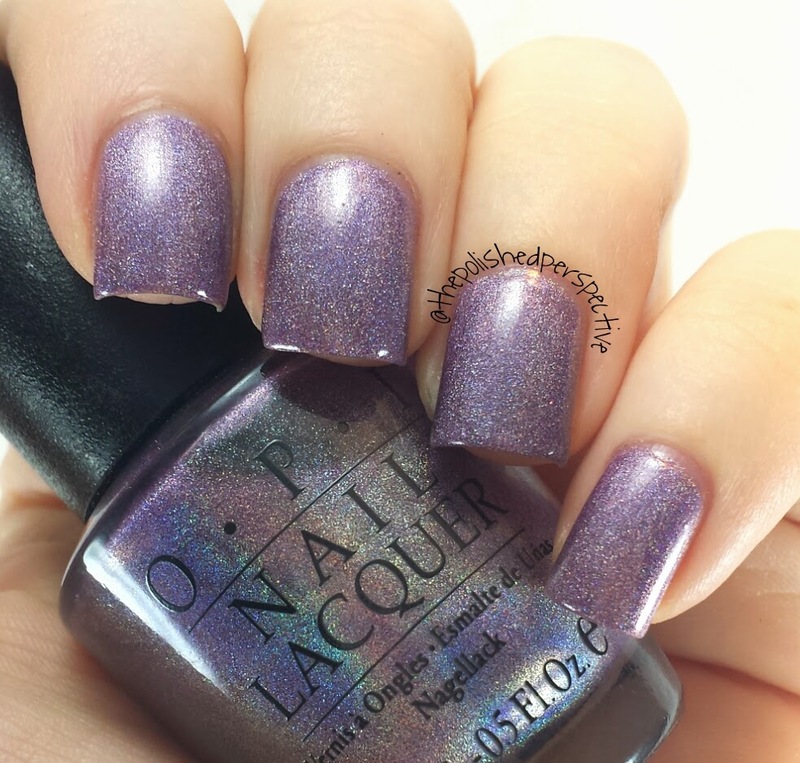 I have another OPI Designer Series to show to you today! This is Sapphire. It's a beautiful blue linear holo. This was part of my dusty hunting haul. What do you think? 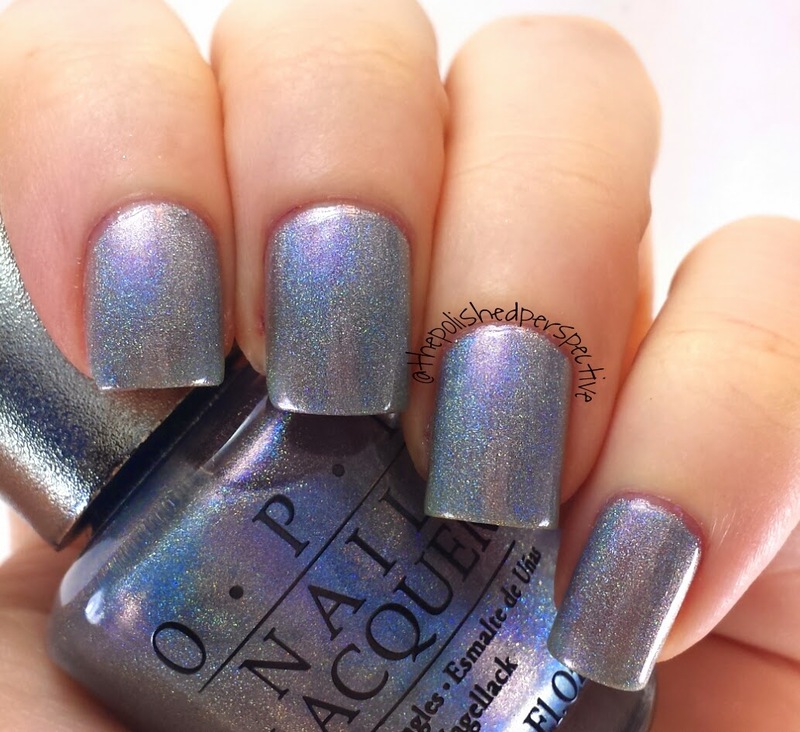 I wish OPI would bring back linear holos.